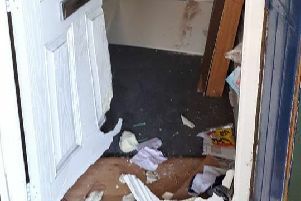 Three people are being treated in hospital after a lorry ploughed into a house in Barnsley. The collision happened on Park View in Brierley shortly after 1.30pm. Park View, Brierley, Barnsley (photo: Google). According to the BBC, three fire engines attended the scene for an hour and a half. The Yorkshire Ambulance Service said the condition of the casualties was ‘unknown’.